Though there had been plenty rock and roll preceding it, 1956 for all intents and purposes, was year 1 in rock and roll for white America. 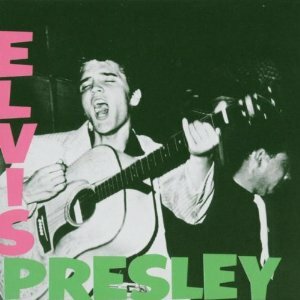 Bill Haley had a huge hit with “Rock Around the Clock” in ’54/’55, but in ’56 Elvis Presley dropped his debut album and the country would never be the same. Elvis had been recording for the past two years with Sun Records in Memphis but had only had regional hits. With his first national hit, Heartbreak Hotel at the beginning of the year which went all the way to number 1, followed by fellow top 5 hits “Don’t Be Cruel”, “Hound Dog”, “Love Me Tender” and “I Want You, I Need You, I Love You”, America was in full-on Elvis-mania. Presley hardly invented rock and roll but he did bring it to the masses and also can at least be said to be one of the, if not THE inventor of Rockabilly- a hybrid of rock n’ roll and country music. Sam Phillips, the head of Sun Records, had quite an ear for talent. Along with discovering Presley, Phillips had acquired a roster of Hall of Famers including Carl Perkins, Roy Orbison, Jerry Lee Lewis & Johnny Cash. Perkins had is signature hit in ’56 with “Blue Suede Shoes”, which Presley quickly covered. Unfortunately an automobile accident curtailed his career right as “Shoes” was climbing the charts and though Perkins put together an impressive stable of songs, he would never realize the fame and fortune that his first hit promised. Orbison would achieve his greatest successes at the beginning of the 1960’s as a balladeer. In ’56 he was still finding his way playing rockabilly and having small hits such as the great “Ooby Dooby”. Jerry Lee’s biggest hits would come in ’57, but he did release his first single “Crazy Arms/End of the Road”. Johnny Cash had two of his best known tracks in ’56- “I Walk the Line” and “Folsom Prison Blues”. He would wind up having the longest career of them all and would become one of the most legendary country music performers of all time. Elvis and Sun Records weren’t the only things white hot in ’56. Other early rock n’ roll legends like Chuck Berry, Little Richard, Fats Domino, Bo Diddley & Gene Vincent were busy releasing some of their most enduring and best classic tracks “Blueberry Hill”, “Slipping & Slidin”, “Rip It Up”, “Who Do You Love”, “Roll Over Beethoven”, “Brown-Eyed Handsome Man”, “Be-Bop-A-Lula”, “You Can’t Catch Me”, “My Blue Heaven”, “Too Much Monkey Business”, “Ready Teddy”- these tracks are so woven into rock n’ roll’s DNA that even casual fans are well aware of them. It’s hard to overstate how quickly this music had gone from being underground and urban-centric into a culturally dominant force loved by nearly every teenager in existence and feared by nearly every adult. Black artists James Brown, Sam Cooke, Ray Charles & Little Willie John were at the same time creating Soul music- most of their ’56 tracks wouldn’t cross over to the pop charts but many would become rock n’ soul classics in due time. John’s “Fever” was notably covered by female crooner Peggy Lee. James Brown’s first ever hit “Please Please Please” would jump start his amazing career. Charles would continue his string of hits started two years earlier with “I’ve Got a Woman” with standout tracks like “Hallelujah I Love Her So” and “Drown In My Own Tears”. The great Sam Cooke woudn’t have his first crossover it until 1957 with “You Send Me”. In ’56 he was busy being one of America’s biggest gospel stars leading Chicago’s Soul Stirrers. “Touch the Hem Of His Garment” is perhaps their best ever track. Doo Wop vocal groups had also been prominent fixtures in black music throughout the early 50’s with very limited crossover appeal until 1956. Groups like the Platters, the Flamingos, the Dells, the 5 Satins, the Schoolboys & Frankie Lymon & the Teenagers were some of the most successful groups, not only of 1956 but of the entire scene in general. “Oh What a Night”, “Why Do Fools Fall In Love?”, “You’ve Got (the Magic Touch)” & “In the Still Of the Night” are some of the most well known Doo-Wop tracks ever made. Doo Wop would continue to flourish for several years, would then peter out, only to be revived again in the pre-Beatles early 60’s. Country, Jazz & Blues music were certainly around prior to 1956 and the fact that rock n’ roll had changed the world overnight, didn’t stop those genres from existing and continuing to move forward. 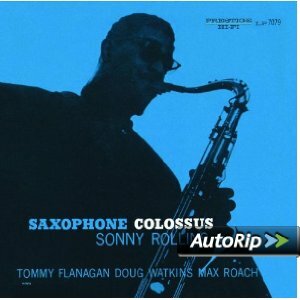 One of Jazz’s premier saxophonists, Sonny Rollins released his signature album “Saxophone Collosus” and bandleader and bassist Charles Mingus was at the beginning of an incredibly fertile decade- ’56’s “Pithecanthropus Erectus” is one of his best. The most famous male crooner of all-time, Frank Sinatra, released “Songs for Swinging Lovers” one of his four stone cold classic mid-to late 50’s albums. 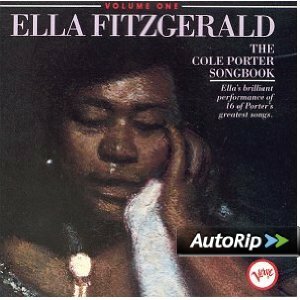 Ella Fitzgerald, possibly Jazz’s best ever female vocalist began her amazing great American Songbook series with “Ella Sings Cole Porter” and also released her first duets with Louis Armstrong. Aside from Johnny Cash and the rest of the Sun Records artists, Marty Robbins, George Jones and Ray Price were some of the biggest stars in Country music in ’56. Chicago’s Chess Records dominated the Blues market. Muddy Waters and Howlin’ Wolf had big hits in ’56 as well as Sonny Boy Williamson II and Otis Rush. After 1956 rock n’ roll would take over music and American culture- it helped create a generation gap, loosen the nation’s sexual mores, contributed toward eradicating racism and discrimination and gave birth to many offshoots over the next 60 years- among them Heavy Metal, Punk, Disco, Rap & Techno. The Would would never be the same again. 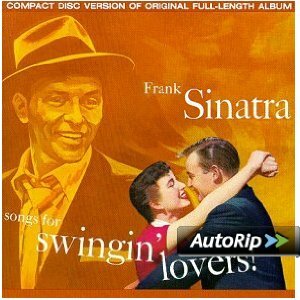 FRANK SINATRA- SONGS FOR SWINGING LOVERS! 16. Frankie Lymon & the Teenagers- Why Do Fools Fall in Love? Buy Please, Please, Please – 20 All-Time Greatest Hits! Buy You Make Me Feel So Young – Songs for Swingin’ Lovers! Buy I Thought About You – Songs for Swingin’ Lovers! Buy Too Marvelous for Words – Songs for Swingin’ Lovers!